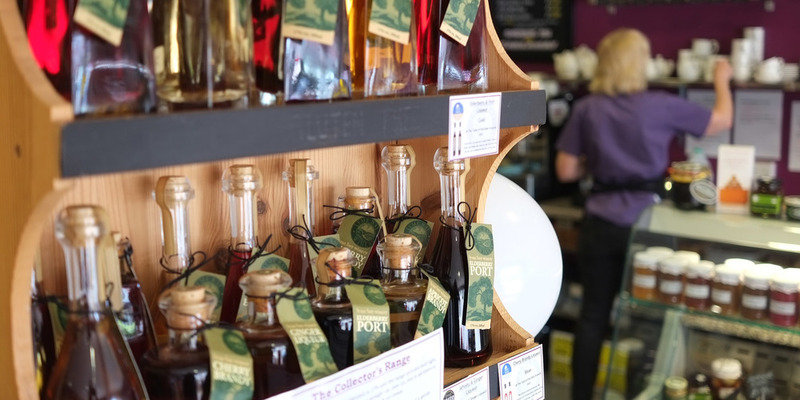 The Cork and Cheese is your friendly local wine shop, café and deli, situated on the A27 in Park Gate Hampshire. We pride ourselves on offering a friendly and knowledgeable service and we believe we are the perfect place for you to pick up that special bottle of wine or selection of English cheeses. The café is the perfect place to meet your friends or business contacts for coffee, lunch or Afternoon Tea. We offer a fully air-conditioned environment with free Wi-Fi if you want somewhere quiet and relaxing to work. We also hold regular wine events and play host to birthday celebrations, hen parties, baby showers or reunions. Explore our vast selection of English cheeses, cold meats, chutneys, jams and biscuits. Come and see our fantastic range of wines, beers, ciders and more from all over the world. Come and try our sandwiches, cakes, cold drinks and vast selection of tea and coffee. Hampers for Birthdays, Valentine’s Day, Mother’s Day, Easter, Father’s Day, Christmas and more. Wine varieties chosen for their ability to ripen with good sugar levels in the Southern English climate. Discover our custom made cheese celebration cakes. Using a variety of cheeses from around the globe.